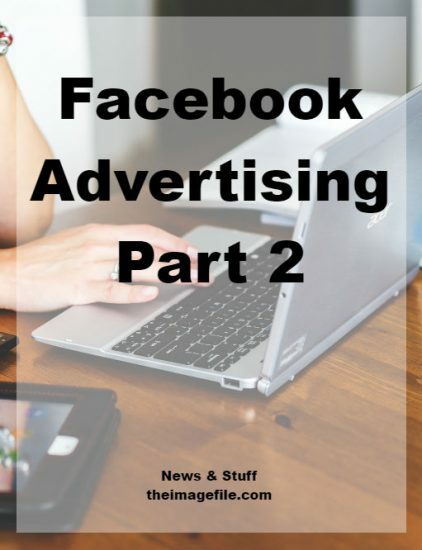 Recently, we brought you three Facebook advertising tips. So here are the final three tips that will help you create a successful Facebook advertising strategy. Reading the Facebook ad guidelines might not be the most exciting thing in the world, but it’s worth the effort otherwise you risk your ad being rejected. This isn’t designed to scare you, just warn you. As Facebook is the one of the biggest social networks around it takes its guidelines very seriously and has a team that manually checks and reviews any ad requests. If they spot something that is not within their guidelines or is deemed “inappropriate” then your ad could be rejected. The URL you are directing people to must function properly in all browsers including Internet Explorer. Your ads must not direct users to a landing page that triggers pop-up or pop-under boxes when someone enters or exists the page. Your ad must describe and represent the advertised brand or product in an accurate way. This includes the price, performance, results etc. The Facebook guidelines page is quite lengthy but it is updated each time the social network makes changes to their ad platform, so you can be sure it’s accurate. Read their guidelines by clicking here! What’s your Facebook presence like? An established Facebook presence always helps, especially if you are trying to increase sales. The more followers you have the more likely they are to buy from you. What’s your niche? If you are a family photographer then you will want to target parents in your area. If you are a commercial photographer then you will want to focus on local businesses. What are you offering? Are you offering a specific session or product? Is it themed? How often they post to their page. You can easily create a list of up to 100 pages to watch, plus you’re not required to like their page to monitor it! To set up Pages To Watch go to Facebook Insights > Overview > scroll down to Add Pages > Select 5 pages to watch. To add more than five pages go to Add Pages > search the page’s name > click Watch Page to add to your list.